My very helpful proofreaders and I are currently in the process of editing the manuscript for Book 2 in The Legend of Light, A Gleaming Path. I can’t put an exact date on a publication at this point, but we are very much well on our way to finishing this, and I can confidently say that we will see a print version sooner rather than later. As we creep closer to that inevitable release, I’m here to continue offering glimpses into the story with exclusive excerpts straight from the manuscript. Two major additions to the story in A Gleaming Path are featured here. 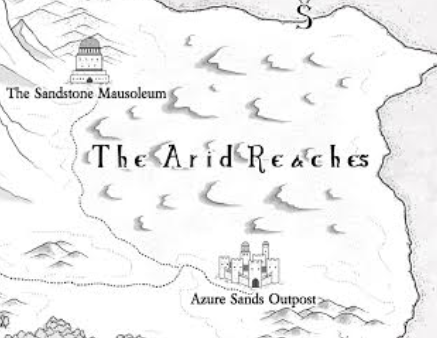 In this middle entry to The Legend of Light trilogy, readers will get to know more of the mysterious, reclusive Aesur people, who live on the highest peaks in the Tower Mountains, and have developed a form of magic called Airtaming, where they manipulate the winds and air currents to their whim. One of those Aesur in the spotlight is Elisstriss, Dayneth’s younger sister, who is one of the mightiest Airtamers of them all. At long last, the opening volume to The Legend of Light is available for the world to read. Four years ago, I attempted to self-publish my first novels, the three books in The Legend of Light (originally titled The Luminous Legend). Working with artist Pam Hage on the covers of all three books in The Legend of Light has been nothing but a pleasure since day one. She’s as busy as she is talented, which is why I’ve always been very grateful to have her illustrating the cover art for what is my first series of novels. I’ve commented on the creative process between us several times through posts for The Legend of Light’s Facebook page, but social media updates only allow for so much info. Just the same, it sounds a lot better coming from the artist, herself. Pam was nice enough to take a few minutes from her hectic schedule to participate in a little interview, where she offered lots of insight into the creation of the book’s various cover art. The illustration for Book One, Echoes of Light, is featured on this website’s primary header, featuring the main character Alamor; the illustration for Book Two, The Gleaming Path, is featured at the top of this specific piece, where you see the other main character in the story, Princess Raissa Hokara. I’ve been waiting a while to put up a new snippet from one of my books up on here, and after finishing the first draft of what I’ve intended to be the second novel in The Luminous Legend series, now seems like the perfect time to provide a sneak peek. This doesn’t mean I’m anywhere near done with my work; I’ve got months of proofreading and revisions ahead of me, and that’s on top of writing the third and final part of the series, which I’m still not entirely sure will be it’s own book, or will be combined into the second part of the series as one big book. But that’s another concern for another time. Until then, here’s an excerpt from Radiant Fate, the continuation of the adventure that I began with this past summer’s Echoes of Light. In this teaser, the main character, Alamor, has a somber discussion with Prince Tridian about the late King Hokara’s campaign to reclaim the war-torn desert known as the Arid Reaches, and bring it under the royal family’s prosperous sovereignty.